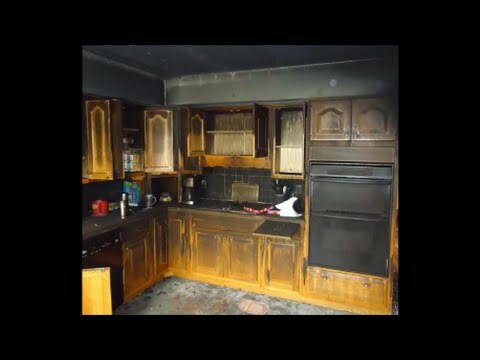 The damage fire can cause to your property is a severe problem on so many levels. Direct damage refers to burning and irreversibly destroying household items and assets. However, the fire goes with many additional hazards that may linger on and continue to cause damage to your property or threaten the health of house inhabitants long after the fire itself is extinguished. This includes potential risks of water damage, sour and smoke polluting air conditions inside the house, dirt infiltrating various materials in the house and many more. Often getting rid of these byproducts becomes a bigger challenge than to extinguish the fire itself and restore the irreversibly damaged assets. The levels of residual smoke and soot odor depend on the size of the fire, length of exposure to fire, material burnt during the fire and several more factors. 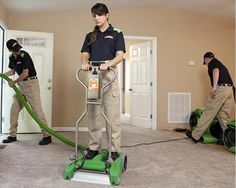 Nevertheless, the process of removing smoke odor after the fire is a serious task and should be handled by professional with experience and specialized equipment. 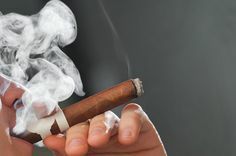 Here are some useful tips for effective removing of smoke odor. The first thing to do is to open all the doors and windows and let as much as possible fresh air to get into the house. Ensuring effective ventilation is essential for thorough removal of unpleasant smells and the tiniest particles of air pollution. Keep the doors and window open for at least half an hour. This may also not be enough, and the process might require applying positive pressure for ventilation. In this case, try turning the fans on the highest speed and pointing them towards corners and the most polluted areas in premises. This artificial air flow will force the smells to move towards open windows and doors and will help remove odor in a more effective manner. Effective ventilation is essential, but usually not enough. Namely, the smallest particles of smoke and soot tend to embed to various porous material across the house, including surfaces of furniture, carpets, carpentry, books, even walls, and floors. Thus, thorough cleaning of all of this is necessary for complete removal of smoke odor. First, take all the curtains, carpets, furniture covers, clothes, towels, blankets and other removable materials outside to ventilate them for a while and wash them thoroughly later. Hire a professional cleaning company to provide deep cleaning of furniture and carpets. The best is to let professional fire damage restoration company handle the cleaning of the mere construction of the house. 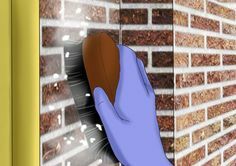 These guys have specific equipment and skills to clean walls, windows, ceiling, and floor in such manner to remove particles of smoke and soot without damaging the quality of construction itself. If you decide to do it yourself, use vinegar, dish soap and mild warm water for meticulous cleaning of all the surfaces. Baking soda has, also, proven its good effect on cleaning of carpets and upholstery. Various vacuum machines containing HEPA filter are superb when it comes to deep and thorough removal of the tiniest particles of pollution. If the fire was extensive and the length of exposure to smoke and soot significant, the particles of pollution will probably infiltrate the deepest layers of every porous material, including the pain of the walls. Sometimes, repainting the walls will be necessary to remove unpleasant smell that lingers on. If you live in those windy areas in the world, you know how much of a problem the wind can be. Isolation from climate conditions is very important for your home. Well, vinyl siding can help you and your house. It is designed to make your home windproof. It is made of PVC, and it is a really good isolation material. In the summer times, the wind or the heat could make catastrophic events in your house. It can be unbearable. In the winter, the cold could easily get in. So this is a good solution although it is not an ideal thermal isolator. So it is best to combine it with some other isolators. During winter it is important to have a good heating mechanism. It will stop the wind from coming in your home, but as for the heat, well, you will need to find a good method for heating your home. During summer, it will not stop the warm air from coming into your home. So in these conditions, you will need to have a good isolator from heat. A good AC system will do the job. Just make sure you install it, and you will be fine. Of course, it is a good method. It is one of the best on the market for this type of isolation. You will need to know that this product is used from the 1950s and it is still in use today. It is not expensive, and it can offer good protection against the wind. Again, if you want good thermal isolation, you will need to combine it with something else. This company will give you the best PVC isolation material you can find on the market. They also have a team of experts that will fix your house in an instant. You just need to tell them what you want, and they will make it happen if it is possible of course. Just make sure you know what you want. And if you have any questions for them, you should always ask them before they start the siding job with your home. What could happen? The workers will put layers of boards on your home, and that is it. You will receive a warranty for the work, and if anything happens or goes wrong you can always call them, and they will fix it for free. This company is amazing I can tell you that. They have people that are the masters of their knowledge. They have a whole team of experts in every division of services they provide. So you will be sure when you call them in action. I once called them to shield my home from the wind and I got some nice quality service. What can I say, I’m very pleased with them. They are a company that will help you with your house, and they will make your home a living paradise. People working in the smoke and fire damage restoration industry are in constant need of updating their knowledge. Most of us think that all the work is finished once a fire is put out, but the professional technicians know better than that. These people know that a building that has gone through hellfire needs immediate attention. A house devastated by this kind of hazard cannot be put to rest. That’s where the specialists come in. If you want to learn how to properly neutralize the effects of fire and eliminate any possible risks, you should definitely consider the Institute of Inspection Cleaning and Restoration Certification. This institute, also known by its acronym the IICRS, is one the most recognizable and sought for organizations in the industry, with its approved schools offering several different forms of certification. 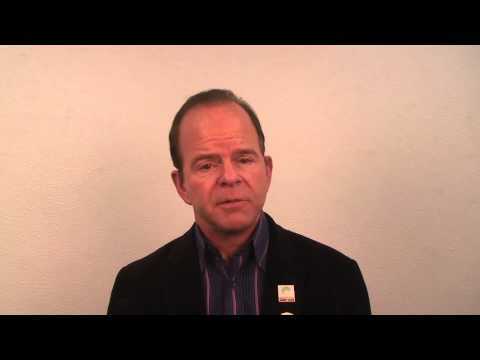 The Fire and Smoke Restoration Technician course is one the options they have to offer. If you choose to register for it, you will learn how to pay attention to technical nuances of the job. 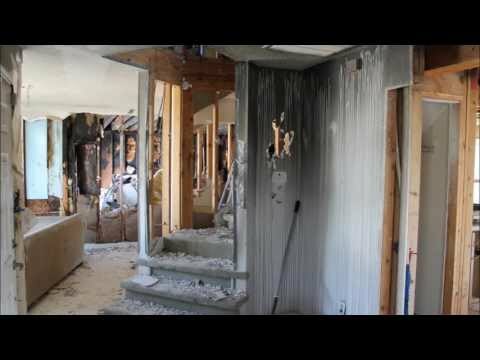 Newcomers will be acquainted with the best and latest techniques for removing the damage caused by fire. Job site management will also be a part of your education.The classes are held over the course of two days, combining for a total of 14 hours. The Institute does not conduct classes by itself; the education is instead managed through approved schools and instructors with years of experience, which ensures all techniques relevant to the field at the time of the course, will be taught. If you are just starting a career, or if you are already a professional that needs certification, finding an instructor in your area will not be a problem because the IICRC has offices spread around North America.They also offer advanced certification that registrants can opt for if they want to improve their industry standings. There are three advanced certification tracks – textile cleaner, water restorer and fire and smoke restoration worker. Each of them is available in two ranks, depending on the registrant’s experience and education. If you want to achieve Journeyman Fire & Smoke Restorer status, you will need at least a year of experience in the industry. Three years of experience in the field will make you an eligible candidate for Master Fire & Smoke Restorer status. When a technician reaches the master status, he will be equipped with all the knowledge needed to be a respected member of the industry.